This document will show you how to properly create an image slider. Step 1: Email webdev@uwgb.edu request a slides folder. Include in the email a hyperlink to the site and location within the site where the image slider is needed. Step 2: Once you receive a reply stating that a folder has been created, login to Kentico and locate the slides folder under your sites. 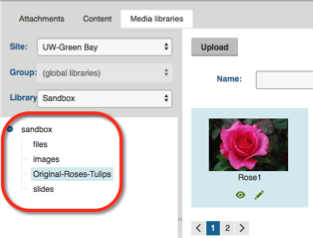 Step 3: Select the folder and click "+" and then select the "UWGB Image Slider" option. 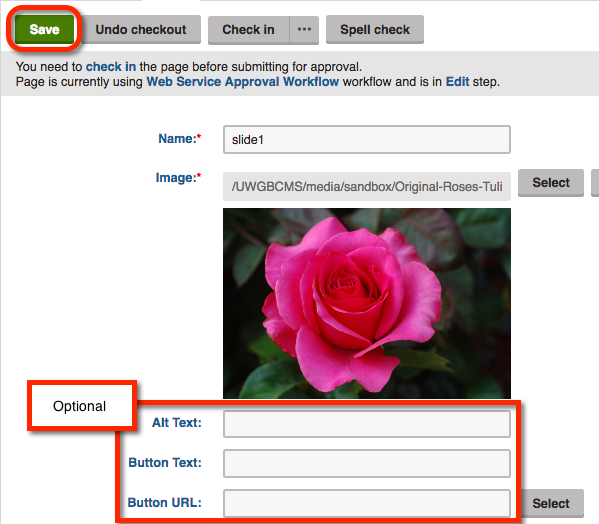 Step 4: Name the image slide "slide1" and then click on the "Select" button. 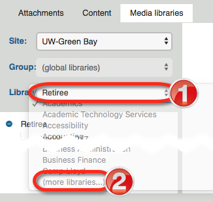 Step 5: Click on the Library drop down and select the "more library" options in order to locate the site's Media Library. 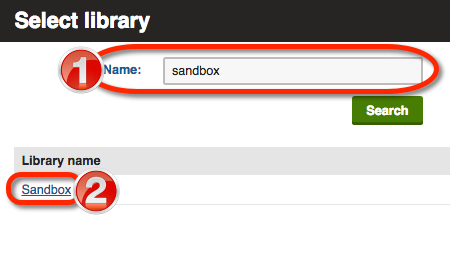 Step 6: Type in the Name box to quickly locate your media library. 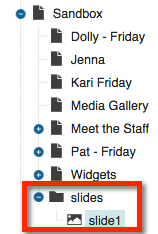 Step 7: Navigate the sidebar to find the folder that hold your image. Select the image and click the "Select" button at the bottom right corner. 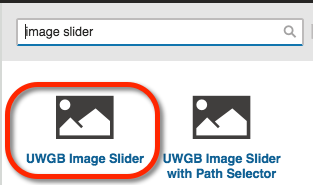 Step 10: Select the page that you want to insert the image slider. Click on the widget icon. 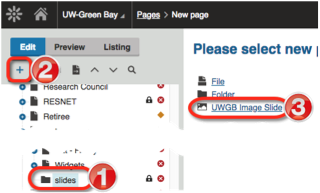 Step 11: Search for the image slider up in the search bar and select "UWGB Image Slider". 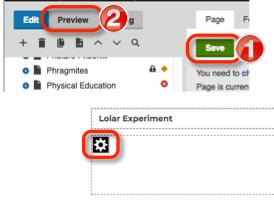 Step 12: Once the widget is inside the page, "Save" and go to "Preview" to see if it is displaying your slides.